Philadelphia-born producer Speaker of the House is showing no signs of letting up as the summer continues to wind down with yet another mesmerizing single. Not even a month removed from his previous release, Dylan Orvell is wasting little time as he treats his fans with some more new music with a new single, ‘End Up’. The cut features the reunion of Speaker of the House and electro-pop pairing Hicari. 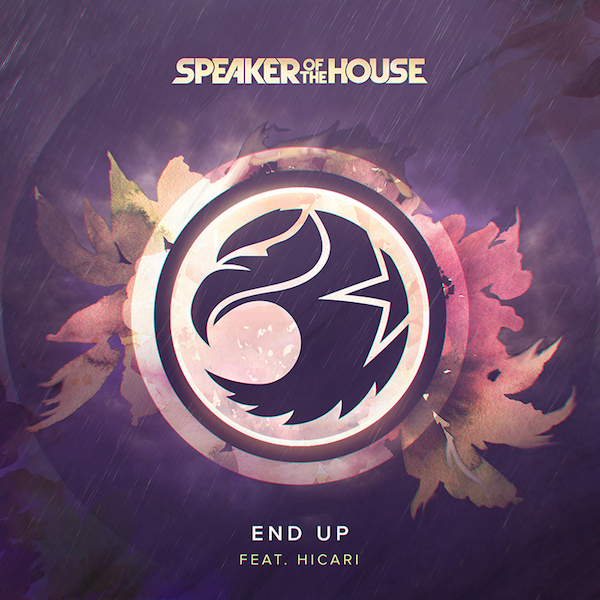 Speaker of the House has consistently proven throughout his budding career that his melodic flavor is unrivaled, and he is putting that on display once more with ‘End Up’. The chilling ballad fuses Orvell’s lighthearted instrumental beside Hicari’s heartwarming verses for one of his most enthralling studio creations to date. A high-pitched vocal-led chorus packed tightly with eclectic drums will have fans pressing repeat for moments on end upon the single’s release. To piece together with the debut of his brand-new track, Speaker of the House also just unveiled two refreshing spins for his late July release ‘Ceasefire’. Both St. Croix as well as CloudTen were invited to add their magic onto Speaker of the House’s midsummer single and give it a reinvigoration that suits fans on all edges of the dance music map. Having graced the stage at some of the planet’s most iconic festivals and secured multiple original releases in 2018, Speaker of the House is surely looking to capitalize off his burgeoning fortune as the year enters its latter months.